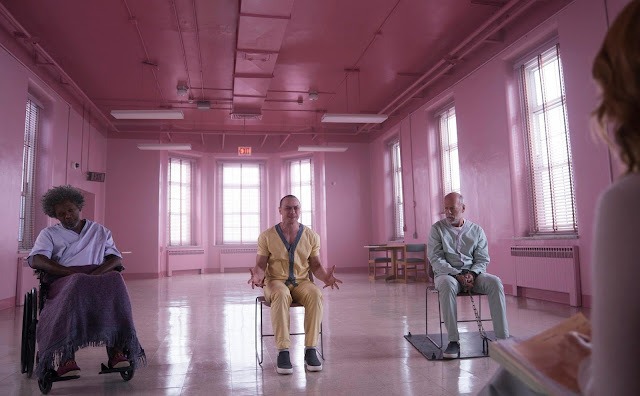 A new trailer for M. Night Shyamalan's "Glass" is coming Friday and Universal has released new photos, poster and a short teaser trailer focusing on Kevin Wendell Crumb (James McAvoy) AKA "The Horde". 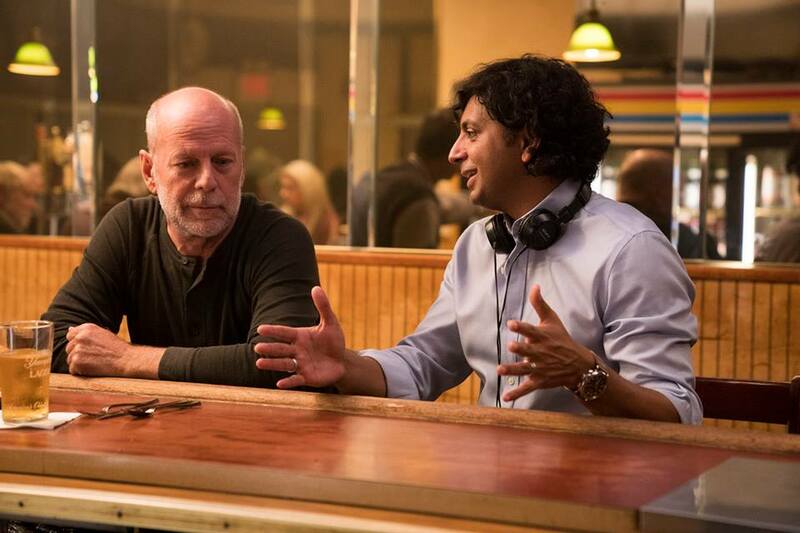 "Glass" is a sequel to both the psychological dramas "Unbreakable" and "Split". The original films followed David Dunn (Bruce Willis), who discovers he has amazing superpowers and Crumb, who suffers from Dissociative identity disorder (DID) aka "Split Personality" that manifests as multiple people living inside him including a superpowered villain known as "The Beast". The teaser shows various scenes from the movie with Crumb in his multiple personalities including Patricia, Barry, and finally The Beast. Check it out. Here's the first poster teasing the dual personas of the main characters. The photos show Dunn and Price joining Crumb in the mental institution. Price in his full purple suit and Casey Cooke (Anya Taylor-Joy) interacting with Crumb. 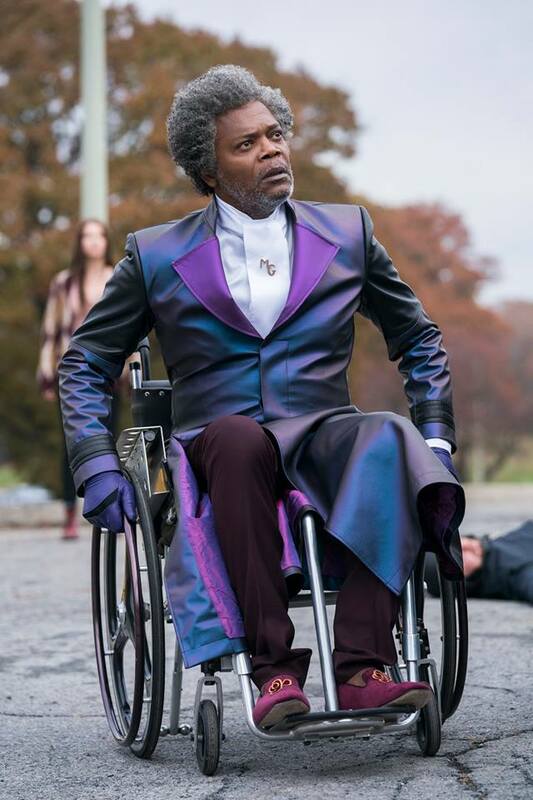 The movie is shaping up nicely and will hopefully redeem Shyamalan after his string of terrible box office bombs. 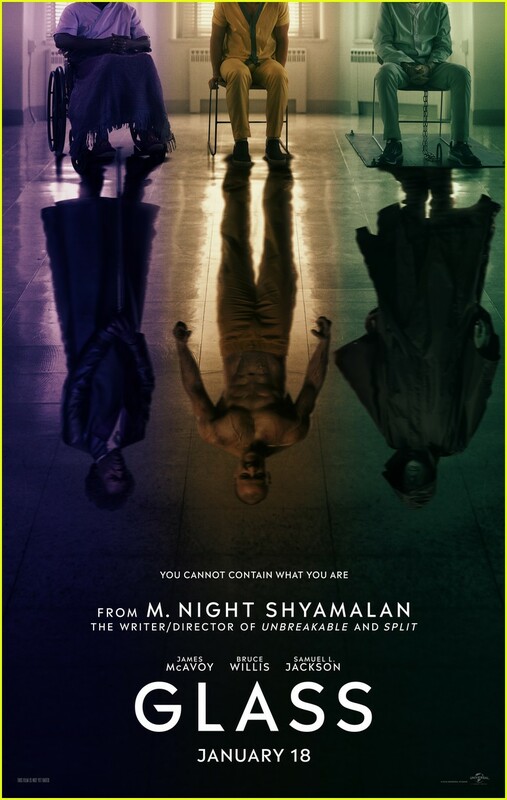 Official synopsis: "Following the conclusion of Split, Glass finds Dunn (Bruce Willis) pursuing Crumb’s (James McAvoy) superhuman figure of The Beast in a series of escalating encounters, while the shadowy presence of Price emerges as an orchestrator who holds secrets critical to both men." 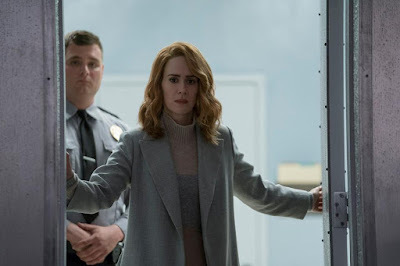 Check back with the Geek Twins for more Glass movie news and hype! Are you looking forward to "Glass" (2019)? 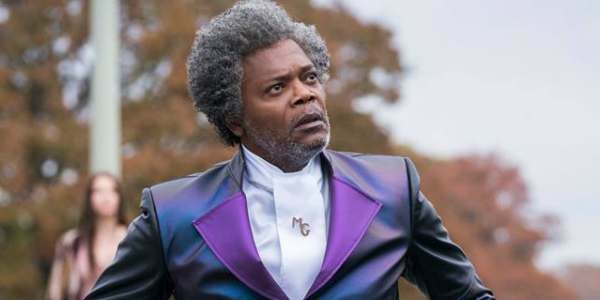 What do you think of the first look of "Glass"?